It's shown above in the program sheet that I posted. What are the terms on Owner Loyalty Programs? So just to clarify, these would be the following incentives for a leased 2018 GT2 AWD in Colorado? $8000 lease, $1000 AWD bonus, $1000 bonus cash. I don't see the $1000 AWD anywhere on the Kia site which is why I asked. I would like to know this as well. 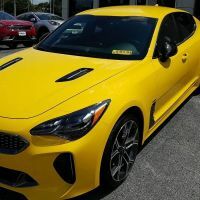 I am sure every dealership varies but I would like to know out the 8,000 lease cash, $1000 AWD bonus and $1000 bonus cash which ones (or all) can dealers include in their advertised sales price. For example, I have a dealer here offering a 2018 GT2 AWD for 43k ... Can I assume that I will get to take 10k toward the lease payment? Any insight or possible guess would be incredibly helpful. There is a local dealer here offered me an '18 GT2 AWD in blue (with a MSRP of $51.7k) for $40.5k (unsure about the details in rebate and cash back). Too bad I'm looking for a '19 GT RWD stripper. What is the "Reserve" under the lease programs? Also, who who decides if you get the 0.0040 or $150? Can the buyer choose one over the other? The reserve is a dealers participation in the lease rent charge. The dealer can either choose the rate or the $150 flat.